Joseph Pergolizzi, MD Patients, practitioners, philanthropists, and investors regularly seek out the expertise of Dr. Joseph Pergolizzi. His expertise in the complex issues confronting patients and caregivers in acute and chronic pain has made him a valuable partner, advisor, and contributor to the healthcare system, business, academia, and government entities. Whether as a physician, an inventor, a research scientist, or an advocate for pain patients, Dr. Pergolizzi works on the leading edge of medicine. An internationally renowned perioperative and pain specialist, Dr. Pergolizzi offers personalized medical services through an innovative practice that provides enhanced care and direct access to some of the world’s top medical experts and centers. 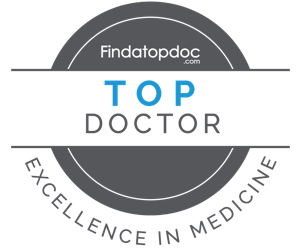 In clinical practice he combines the latest medical advances and scientific breakthroughs with his profound professional compassion for patients facing life-altering and painful conditions. Dr. Pergolizzi specializes in clinical research, consulting with major research institutions and drug developers around the globe. His scientific knowledge combines with his frontline understanding of the current limitations in pain medicine so that he can meaningfully contribute innovative new analgesic products and treatments. He has devoted his professional life to reducing the suffering associated with under-treated and untreated pain. 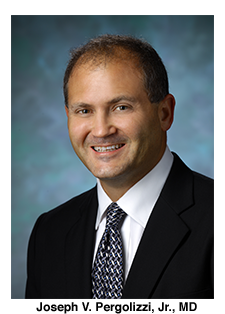 Dr. Pergolizzi has achieved a number of innovations in pain relief. Some of these include taking into account genetic differences in the metabolism of analgesic drugs. These differences may result in clinically relevant drug to drug interactions which can have a notable impact on treatment outcomes. Dr. Pergolizzi is concerned with policy issues related to the safe and appropriate use of opioid analgesics through the development of sophisticated abuse deterrent technologies. In addition to bringing scientific expertise and rigor to the evaluation of complementary and alternative medicine (CAM) and natural products. Dr. Pergolizzi is at the vanguard of advancing integrative, holistic medicinal techniques to create novel natural/synthetic combinations products such as OxyRub™ to address patient’s desires for safe and effective complementary, alternative, and natural products. Dr. Pergolizzi is the author of over 150 peer reviewed articles, abstracts, platform presentations, and book chapters in his areas of interest and expertise. He is an internationally recognized expert in clinical research, pain medicine, anesthesia, internal medicine, pharmacology, drug discovery, and regulatory affairs, He has been awarded the American Medical Association Physician Recognition Award with Commendation and is a member of Who’s Who for International Executives. He has served as a member on a number of advisory boards and medical/scientific societies, and has acted on several institutional committees including the Medical Errors Committee and the Pharmacy and Therapeutics Committee. Dr. Pergolizzi is recognized by his peers as an innovative practitioner and a scientific and medical expert who integrates new products, techniques, and technologies into his everyday clinical practice. © All RIGHTS RESERVED, Custom design by Maxim Design, LLC.